Learn all the essential stitches with clear step-by-step photography and try over 30-easy-to-follow patterns to make beautiful and stylish accessories you'll love to make. You can also make stylish home accessories, including Christmas decorations, that make the perfect gifts - if you can bear to part with them! This book will become your go-to crochet guide for years to come. Learn all the essential stitches with clear step-by-step photography and try over 30-easy-to-follow patterns to make beautiful and stylish accessories you'll love to make. Projects include beanie hats, berets, cowls, gloves, scarves and mittens for grown ups; cute hats, scarves and mittens, play accessories and toys for children; and gorgeous rattles, mobiles, blankets and cuddlies for babies. You can also make stylish home accessories, including Christmas decorations, that make the perfect gifts - if you can bear to part with them! 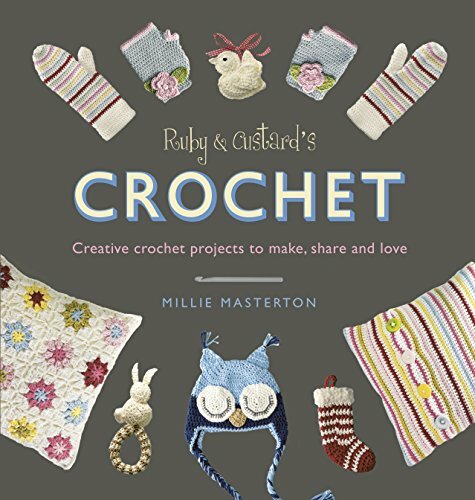 Once you've tried the basic pattern, have fun customising designs yourself with your favourite colours and wools - this book shows you everything you need to know to master crochet and create bespoke creations.